This file is used to export name and address information in CSV (COMMA SEPARATED VALUE) format when creating a new committee file. This feature is also used to export names to another MERTS committee or another software product for use in making mailing labels or for other purposes. Please Note: Prior to exporting any names, create a back up file of the committee records to guard against any possible problems that may arise during the export process. 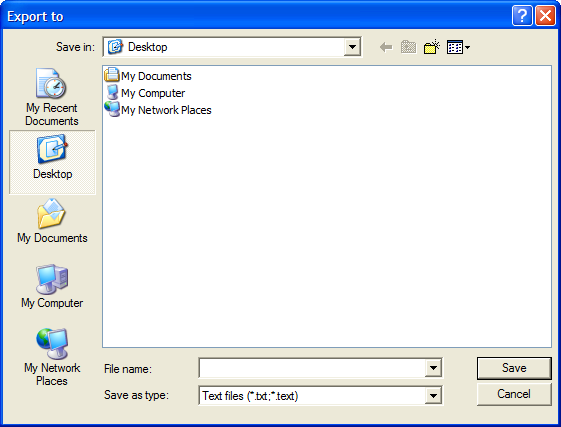 In order to export a file transactions, the committee file must first be open. 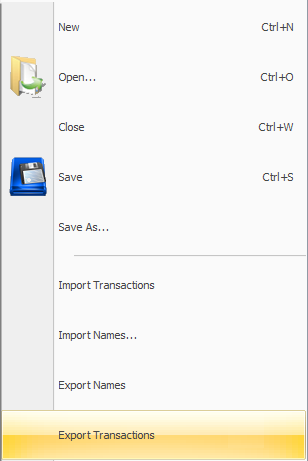 Under the File menu select Export Transactions - a screen will appear to select the transaction type which should be exported. Select the ‘Browse’ button to create a file to export the transactions into. 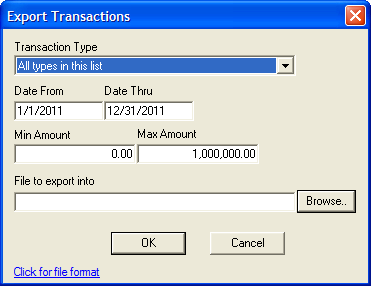 Select ‘Ok’ to proceed with the export of transactions.